Even if they do make a lot of public statements condemning wagering on sports, players, coaches and fans alike all love Las Vegas. They seem morally obligated to take a stance against placing a bet on a ball game, but it’s getting to be more and more like ‘it’s not such a big deal’. So when the new Commissioner of the National Basketball Association let it be known that the powers that be within the NBA have been discussing the idea for a mid-season tournament for the basketball sort of like the MLB All-Star break, he got a lot of peoples attention. That in itself would be interesting enough but Adam Silver also dropped a little hint that America’s favorite sin-city, Las Vegas, where else? Was in the discussion as a possible site for the proposed annual tourney. Mr. Silver told the press, “One of the things that I didn’t mention before that the competition committee talked about and seemed excited about is potentially some sort of mid-season tournament. Very early days in the discussion of that, but we’re looking at other opportunities in the league to create excitement”. He didn’t say anything about creating revenues in that statement, but you just know that was part of the big ‘discussion’. Not to mention, everyone gets a paid holiday in Vegas! Such a deal. It was also pointed out that there really isn’t very much to win in the NBA. A team can win their division, their conference and the NBA Championship Title. But what else is there to shoot for? Soccer guys have tournaments all the time. It would be a way of giving the players and coaches something else to compete for. Another prize to win or lose. And players could always say, “We didn’t win the Title this year, but we did win the Tournament.” That would be terrific. Athletes like to win things and their fans like to watch them do it. 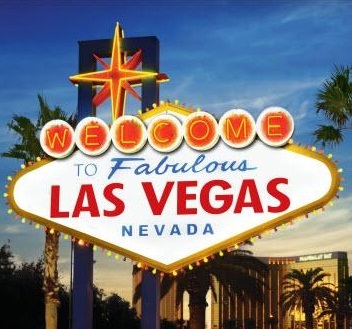 And of course Las Vegas, Nevada would be the perfect place to hold the annual event. No one is going to complain about having to spend a few days in that wonderland in the desert. Great food and drinks, great shows and lots of pretty girls. Adam Silver and company probably won’t have much trouble getting this one out of committee on into action. The Networks will be waiting with contracts ready to sign and players can start packing their best warm weather duds.